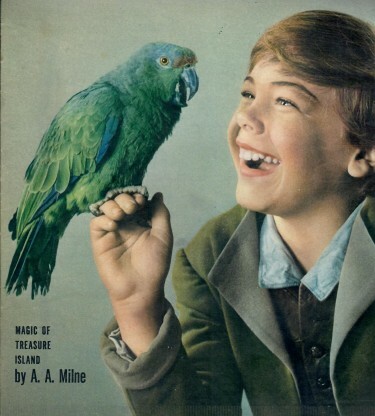 » Blog Archive » Captain Flint – A New Home after his film acting in Treasure Island 1950 !! 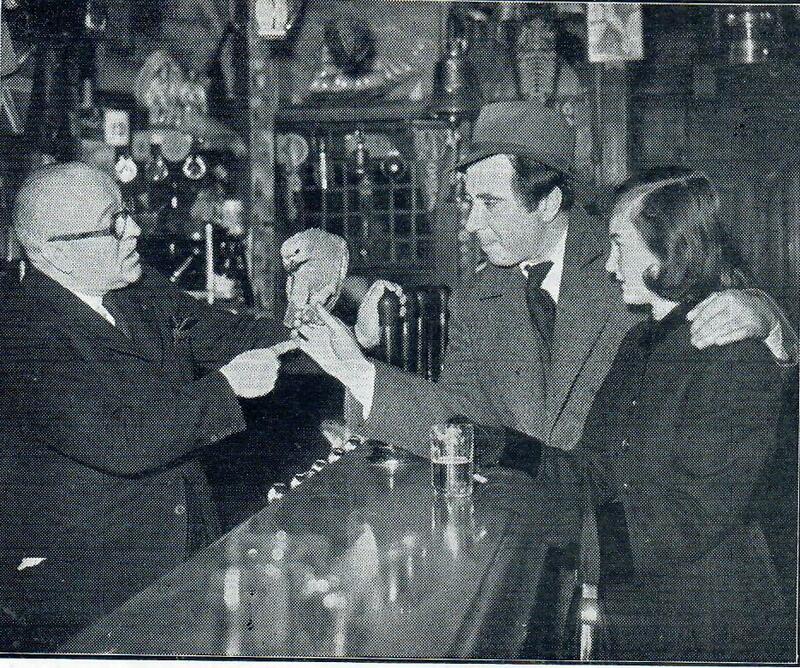 Captain Flint – A New Home after his film acting in Treasure Island 1950 !! Captain Flint – A New Home !! Here is Cap’n Flint ABOVE – with Bobby Driscoll in a posed still while they were filming Treasure Island. 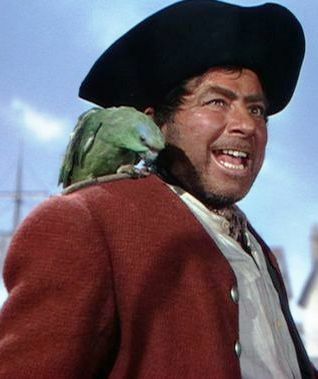 The parrot Cap’n Flint who stars with Robert Newton in Treasure Island and Bobby Driscoll in the RKO-Walt Disney production of ‘Treasure Island’ made at Denham Film Studios in 1949 – released 1950. He has earned retirement in a Public House The Prospect of Whitby one of London’s only riverside inns. Here Robert Newton is handing Cap’n Flint over to Landlord George H. Broadbent and his wife. I hope Cap’n Flint enjoyed the long retirement he deserved for his famous role in the classic film. The ‘Prospect’ may have had its fair share of human celebrities but also was home to a celebrity of the feathered variety, a newspaper from 1951 gives the details. The Prospect of Whitby Inn is still there, although after 70 years, I doubt that Captain Flint the parrot still is. I look at all your postings, but have almost given up commenting on them as they can’t be seen by you at your end.